Buy New Panasonic Lumix DMC-FZ300 SuperZoom 24x Optical Zoom with 12mp, LCD 3.0" 4K UHD Video Recording Digital Camera At Best Price at FotoZZoom! Blending an all-in one zoom, 4K video recording, and versatile still shooting capabilities, the Lumix DMC-FZ300 from Panasonic is a multi-faceted point-and-shoot optimized for the multimedia image maker. Featuring a 12.1MP High-Sensitivity MOS sensor and Venus Engine image processor, the FZ300 is capable of recording up to 60 fps with an electronic shutter, 12 fps with a mechanical shutter, or 30 fps using the unique 4K Photo Modes. Working in low-light is benefitted by a top sensitivity of ISO 6400 along with 5-axis HYBRID O.I.S.+ image stabilization to minimize camera shake during HD video recording. The 24x Leica DC Vario-Elmarit lens covers a 25-600mm equivalent focal length range and has a constant f/2.8 maximum aperture for consistent performance from wide-angle to super telephoto. For composing imagery, configuring shooting settings, and reviewing your photos and movies, a large 3.0" 1.04m-dot free angle touchscreen LCD is available, as well as a 1.44m-dot OLED Live View Finder for eye-level monitoring. Able to handle nearly any image-related task, the FZ300 is a versatile camera well-suited to advanced photo and movie recording applications. The body design features an ergonomic right-hand grip for added support when working with longer focal lengths, as well as a dust- and splash-proof construction to suit working in inclement conditions. Benefitting both stills and movies, Panasonic's DFD (Depth-From-Defocus) AF system helps to quicken focusing speeds while a Starlight AF feature maintains focusing accuracy in low-light conditions. 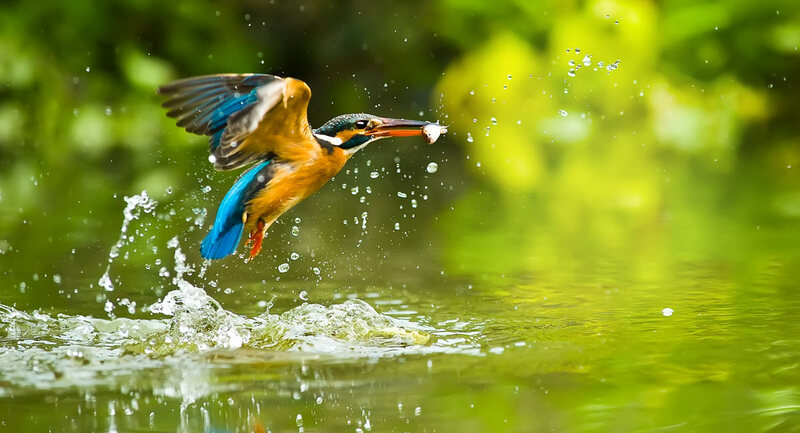 And benefitting both sharing and shooting control, Wi-Fi connectivity allows for wireless image sharing and remote camera control from smartphones and tablets. A 12.1MP 1/2.3" High-Sensitivity MOS sensor pairs with the Venus Engine image processor to deliver fast overall performance and notable image quality to suit working in a wide variety of conditions. The sensor and processor combination help to compensate for diffraction to realize sharper, clearer imagery at smaller apertures as well as a top sensitivity of ISO 6400 to suit working in difficult lighting conditions. This processing engine also contributes to a fast 12 fps shooting rate at full-resolution with the mechanical shutter, 60 fps shooting with an electronic shutter, and 30 fps shooting at 8MP using the 4K Photo modes. Take this ruggedly designed camera outdoors. Its 600mm/F2.8 high-speed lens and 4K Video/Photo recording capability will definitely satisfy you and make sure you catch those fleeting photo opportunities. The 25-600mm LEICA DC VARIO-ELMARIT lens boasts full-range F2.8. Regardless of how distant your subject is, or how fast it is moving, this lens won’t let it get away. And the constant F2.8 capability enhances low light shooting throughout the entire zoom range. 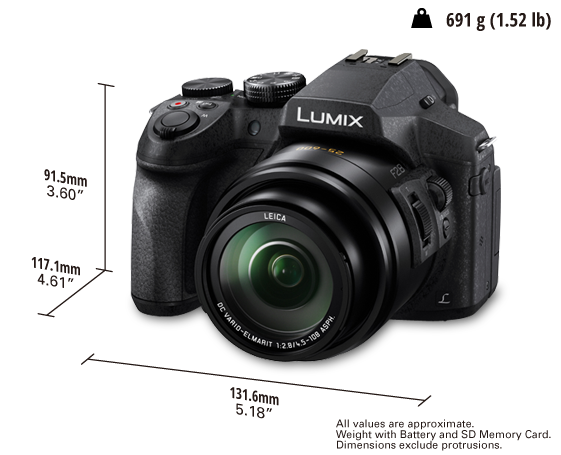 Also, Panasonic’s black box technology Nano Surface Coating boasts extremely low reflectance ratio and it is applied to the LUMIX FZ300 for exceptional optical performance with stunning clarity by minimising flaring and ghosting. The 12.1-megapixel High Sensitivity MOS Sensor in combination with the Venus Engine provides both: high quality image capture and high speed signal processing. 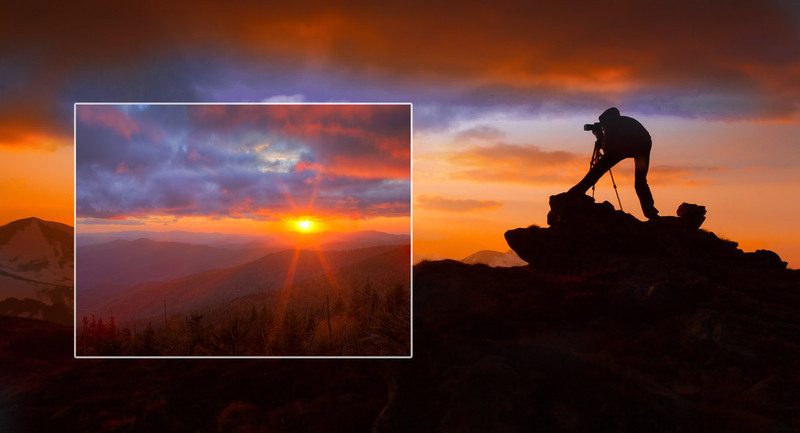 The superior noise reduction system enables crisp images even in low light conditions up to ISO 6400. The Venus Engine also excels in diffraction compensation to make images crisp and clear even when shooting with a small aperture.